Anyone can lay a dollar bill on the bar and feel like they've fulfilled the basic requirements of being a decent human being, but how much should you tip if you want to become a true friend of the establishment? The kind of customer bartenders look forward to seeing? 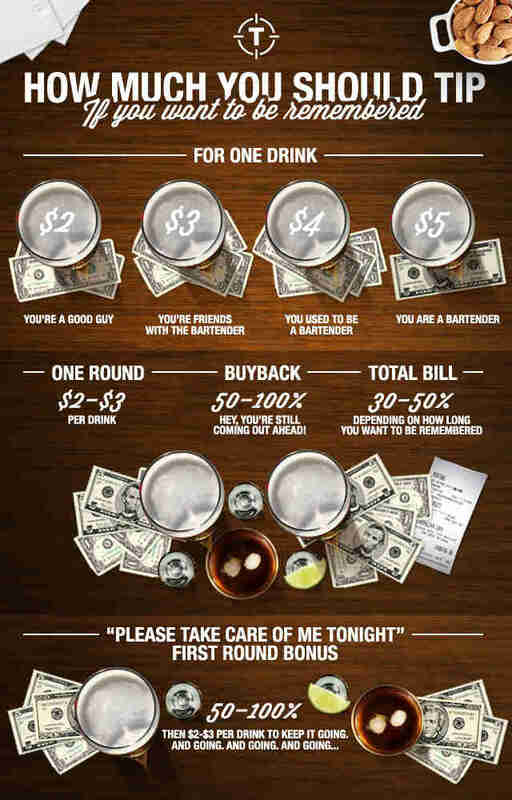 The kind of customer who gets free drinks while his less valued friends pay full price? 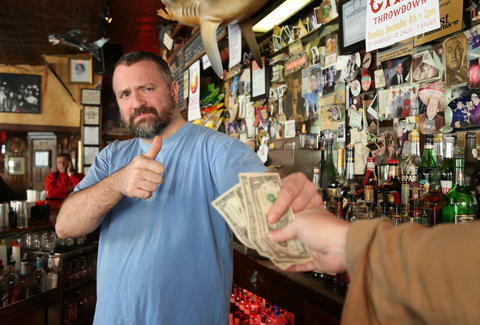 We hit up 20yr NYC bar vet George Ruotolo for this quick tip sheet on tipping. Use it, and your karma points will really start to add up.